“When I first saw the Viper at the ASTA conference, I fell in love and IMMEDIATELY ordered one! The sound is excellent, the look is amazing and the design is brilliant. “Now that I don’t have to hold the instrument under my chin, I can sing more easily while I play, it is very comfortable and I no longer get back pain. Plus I have the range of a violin, viola, cello and bass all in one! Asha has shared the stage with artists such as Jay-Z, Mary J. Blige, Black Eyed Peas, Lionel Ritchie and Queen. She has also appeared on the Tonight Show with Alanis Morrisette, the Jimmy Kimmel Show with CeeLo, and the Ellen Show with the Jonas Brothers. 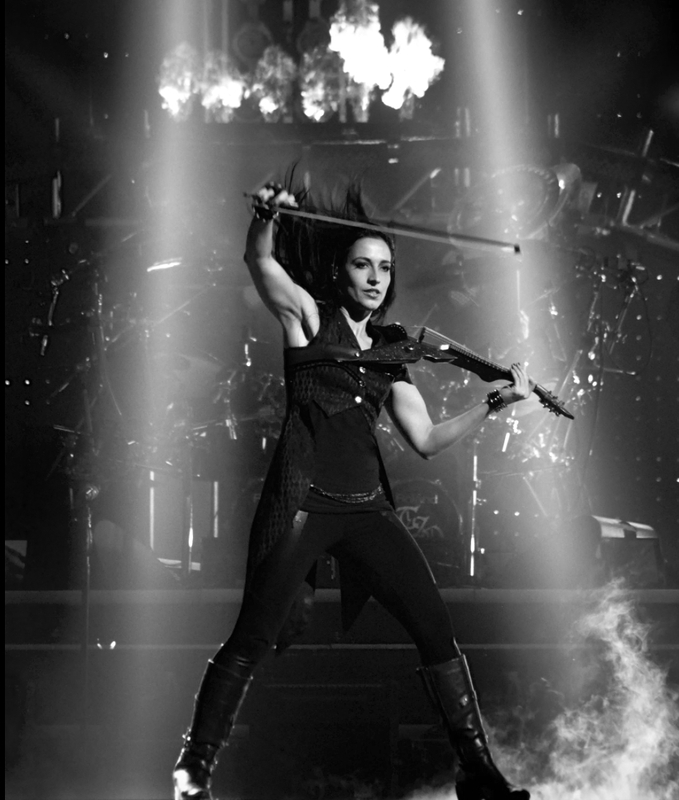 She performs regularly with the American Idol band and can be seen on the Three Doors Down video, “Landing in London.” She has toured with Gnarls Barkley, opening for the Red Hot Chili Peppers and performing at the Grammys, and currently performs as the lead violinist for the Trans Siberian Orchestra West Coast tour.